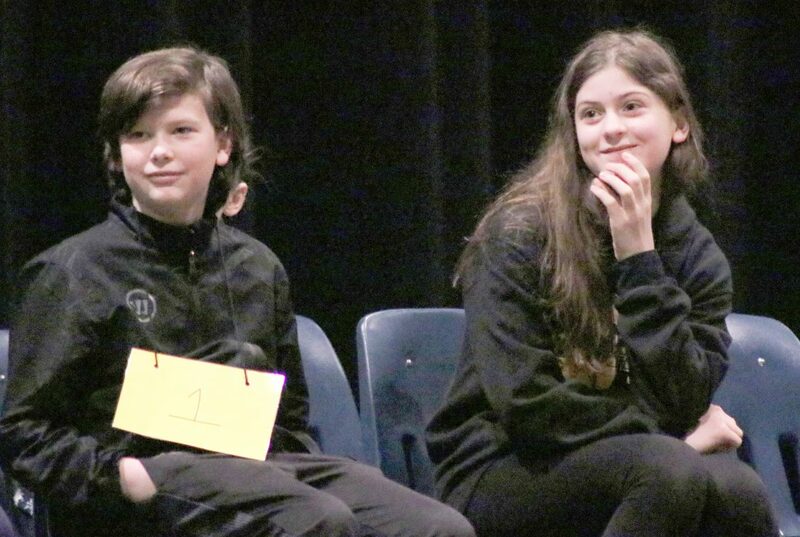 Caleb Hall (left) and Lillian Urmson listen while others spell in the late rounds during the Crestview spelling bee on Friday. Urmson would eventually win the bee and Hall would be the first-runner-up. Urmson correctly spelled abacus and circulation to win.